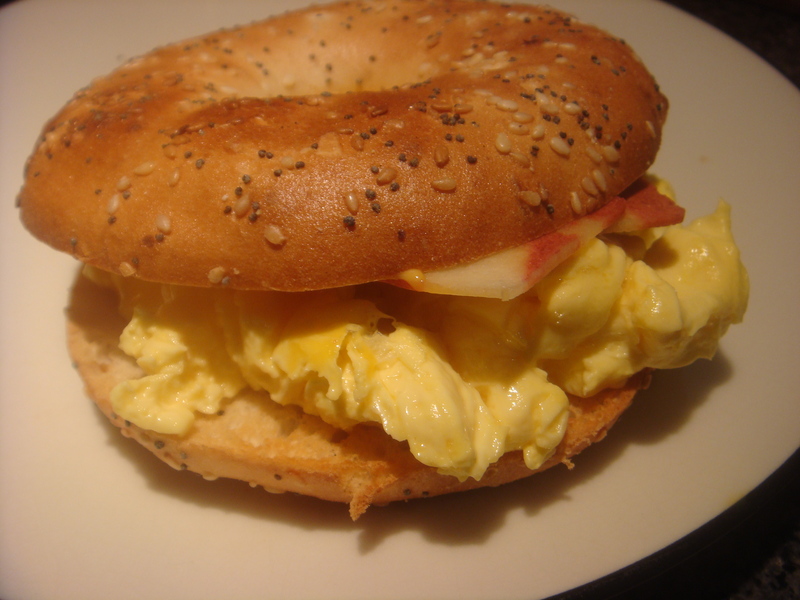 Growing up in New York City, an egg sandwich on a perfectly toasted bagel is a staple of most weekends. 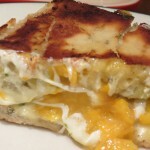 The gooey cheese spilling out, the delicate crunch of the bagel, the fluffy eggs… it doesn’t get much better than that. 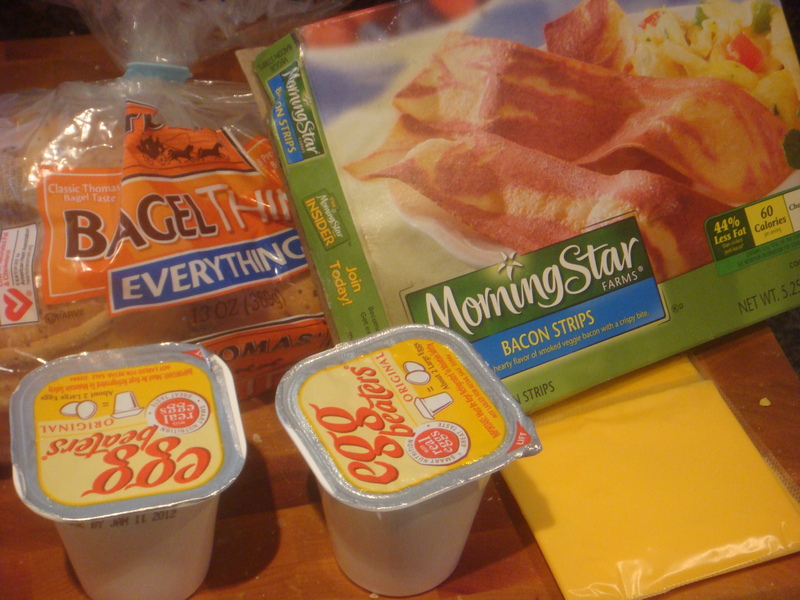 The most classic of these sandwiches is a bacon egg and cheese on an everything bagel. My sources tell me that the bacon adds a saltiness that brings the sandwich to a whole new level. The only problem with this perfect breakfast sandwich is that if you really did eat it every weekend… well, that’d be a lot of calories. So my mission for today was to recreate the experience of eating a bacon egg and cheese on an everything bagel without the guilt. I think it went remarkably well. Let me give a quick overview of each of these ingredients and why I love them. 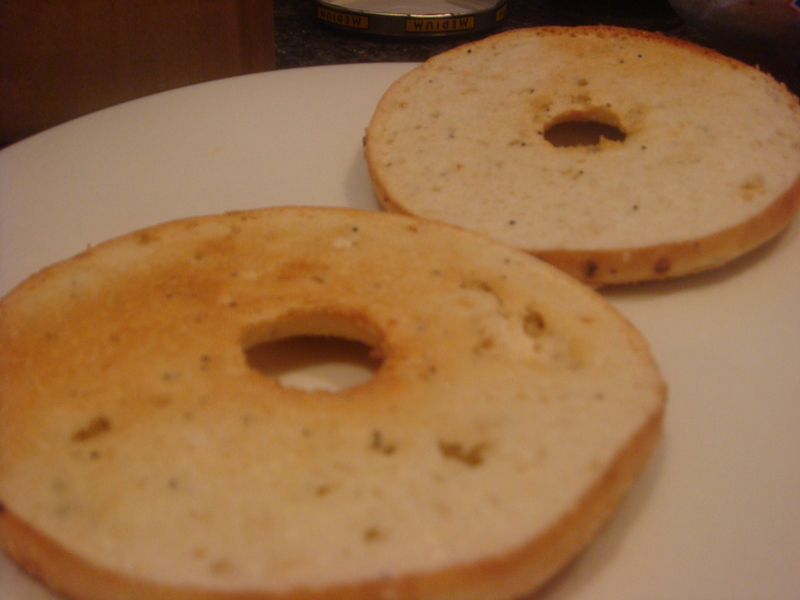 First of all the idea of a 110 calorie bagel is amazing. What’s even better is that when this bagel is toasting the smell reminds you of why bagels are so delicious, especially everything bagels. Egg beaters have basically replaced eggs in my life (except in baking). They are made from egg whites plus they’re super easy (who wants to separate eggs) and you don’t have to figure out what to do with the yolk. Ok, full confession- I have never had bacon. It’s not very appealing to me which I know makes even my vegetarian friends look at me strangely, but that’s just the way it is. I do love turkey bacon and veggie bacon though. 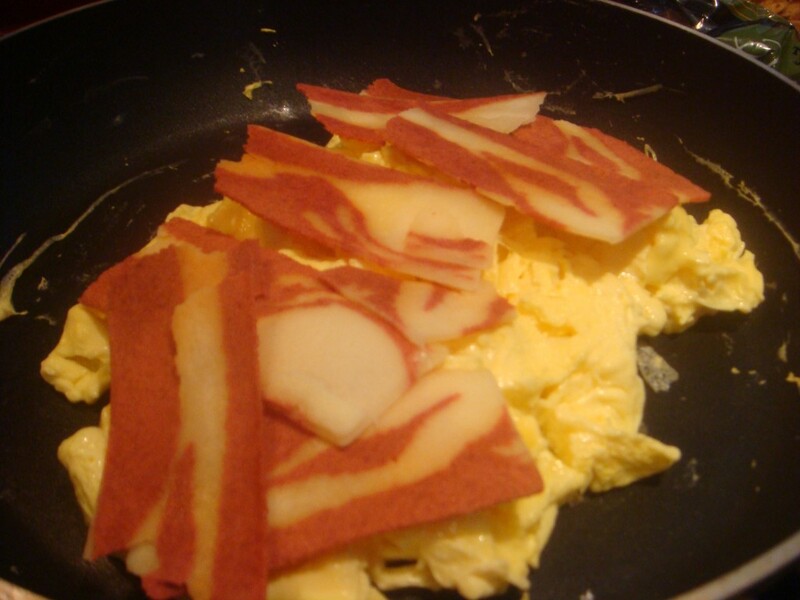 And even Geoff likes veggie bacon in any form except on the side of eggs, so I feel confident in this swap. Lastly, the weight watchers brand American cheese. There is so much to say about this cheese. I normally hate reduced fat cheese and I would rather have a little bit of real cheese than a lot of it’s reduced fat or fat free counterparts. This cheese, though, is wonderful. It tastes great on its own and it melts beautifully for only 45 calories per slice. I’ve seen it in most every grocery store, so you should definitely pick some up. The prep of this dish is super simple: Toast the bagel. 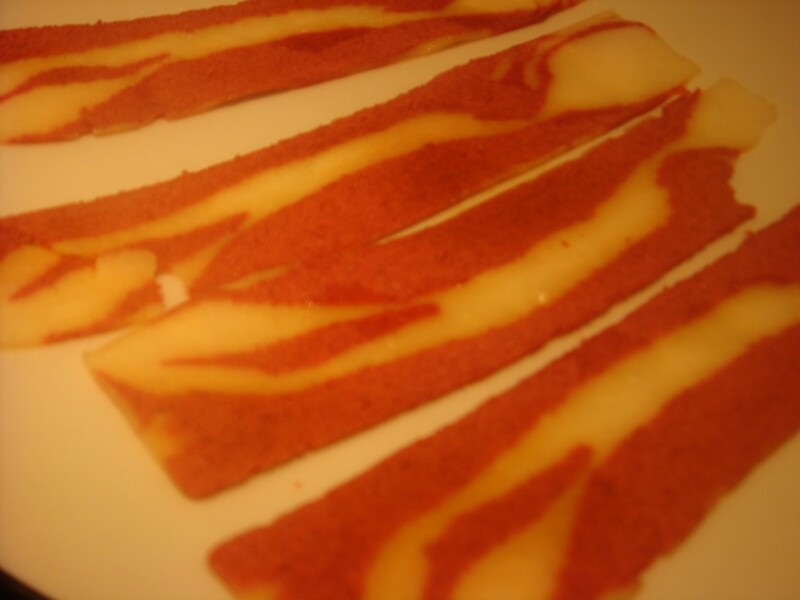 Microwave the bacon according to package instructions. 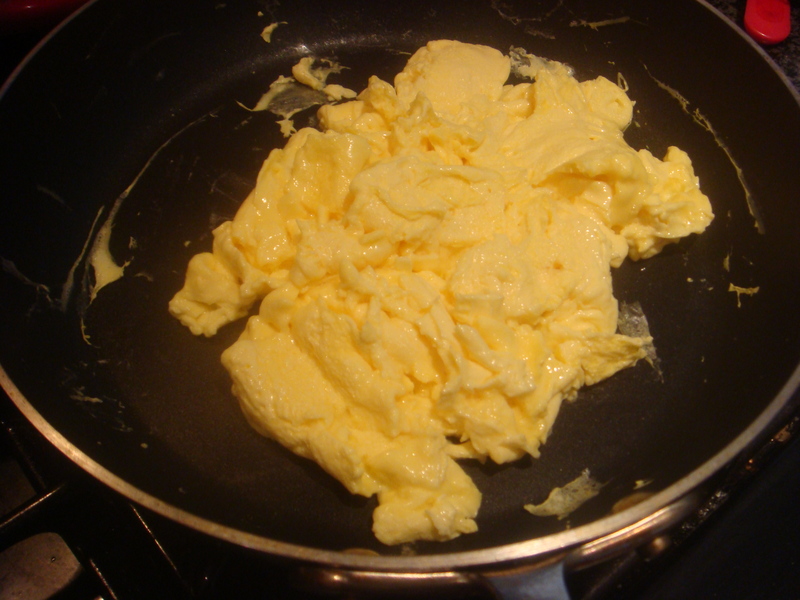 Scramble the egg beaters and reduce the heat to low. 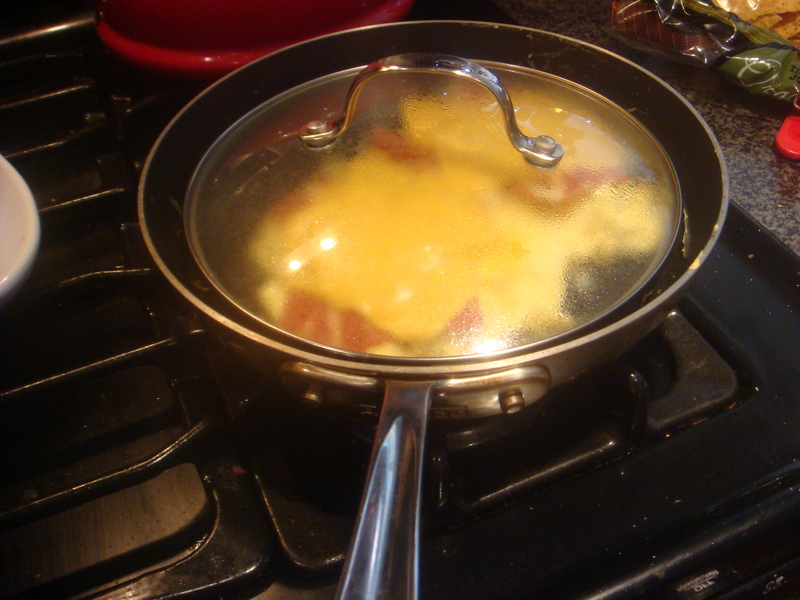 Break the bacon into smaller pieces and lay it on top of the eggs, Place the slice of cheese on top and cover with a lid so the cheese melts without drying out the eggs. 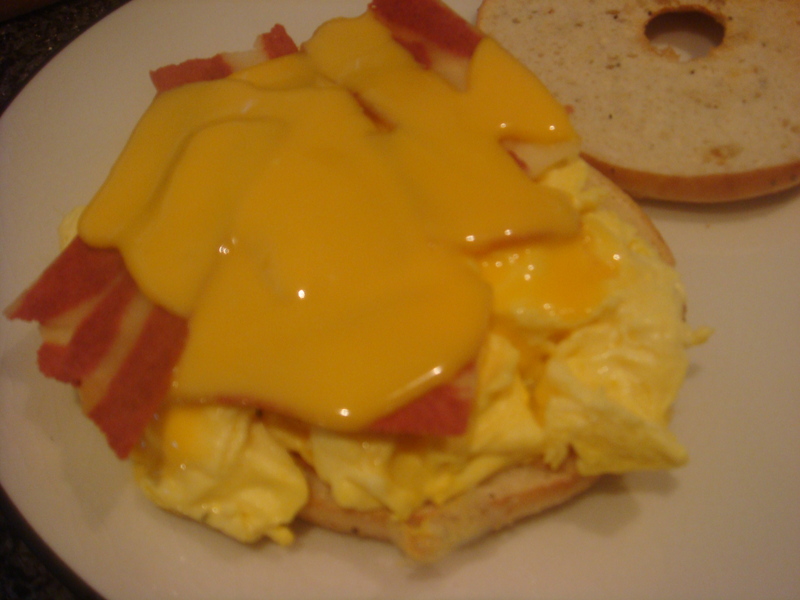 Use a spatula to move the bacon egg and cheese onto the bagel. Warning: the cheese will be gooey and the smells will be heavenly. Have a great brunch! This entry was posted in Brunch by michcorbett. Bookmark the permalink.